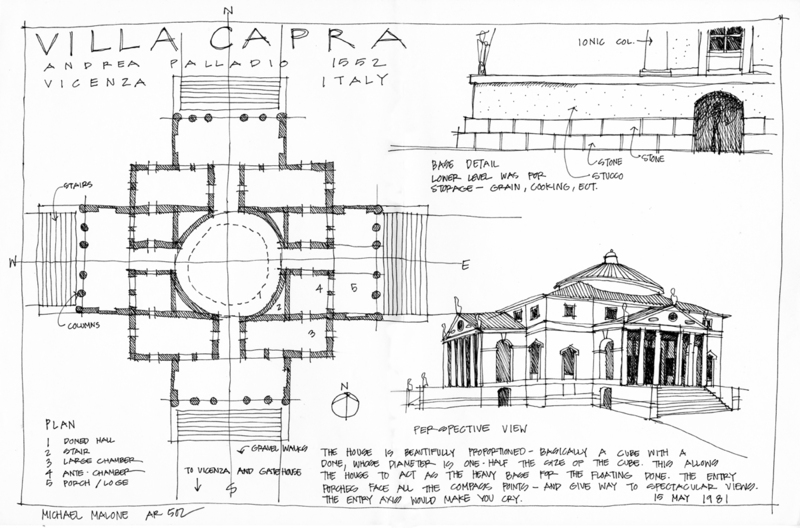 Sketching is part of the architects domain and there was a time when it was a forgone conclusion that if you were an architect, you could sketch. Don’t get me wrong, I am not a “days of yesteryear” apologist saying that the old ways are always better, but in the case of sketching and keeping sketchbooks … I do think the old ways are better. 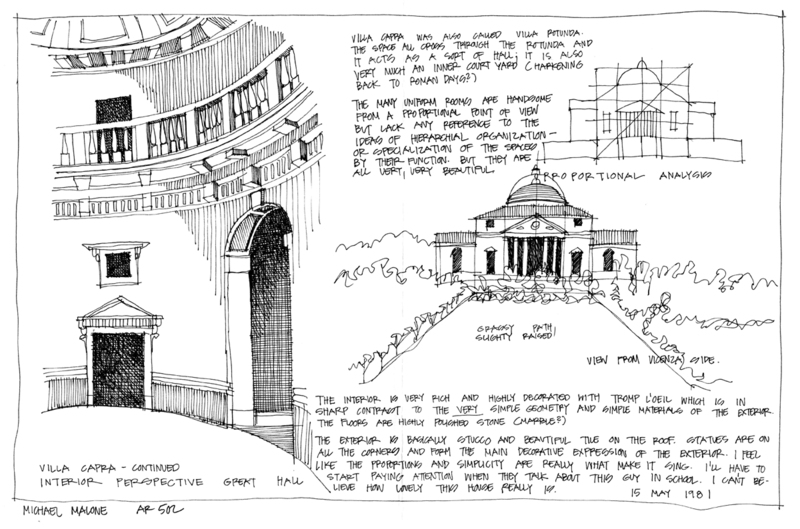 I have covered sketching quite a bit on this site and I am on record (on many occasions) that saying you do not need to sketch well in order to be a successful architect, but I have always tempered that opinion by stating that sketching is a form of communication, and that communicating on any level is one of the most desirable of all skills. Last week I received an email from a friend who asked me which digital sketching apps I preferred – and I have no idea. Not because I have so many that I love, it’s because I don’t use them. I literally don’t know which ones are any good. I can tell you that even if I do start using a digital app on my tablet, I will still maintain a sketchbook because I truly think their value goes beyond the literal process of putting pen or pencil to paper. It’s the diary aspect of them that appeals to me the most. To demonstrate this, I thought I would turn to my business partner, Michael Malone, and let his sketchbooks do the talking. 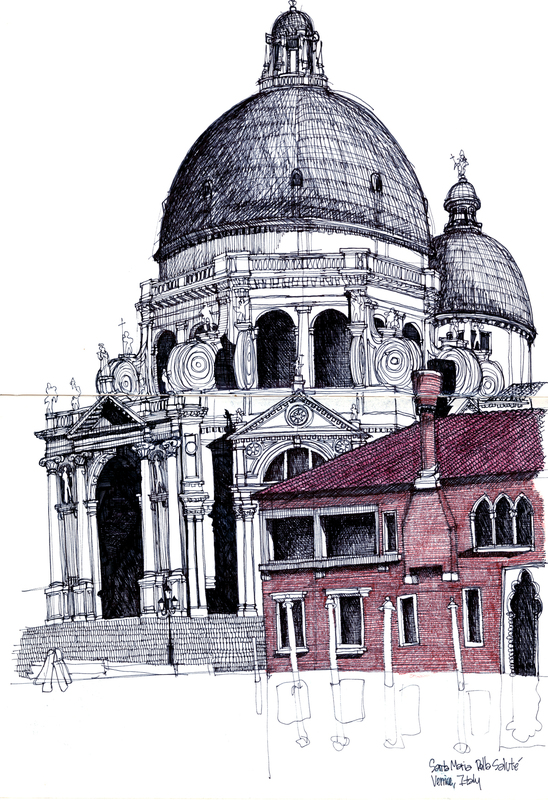 Michael is an avid sketchbook sketcher … he has a few that he uses, and they are all large format books. He has been maintaining sketchbooks for over 30 years and they are incredibly cool to look through, even if you don’t know what you are looking at or why he decided to create a particular sketch. 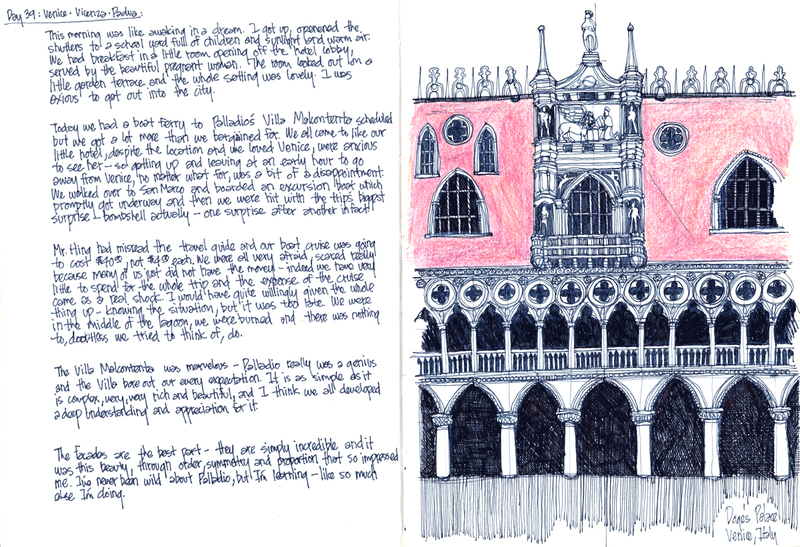 All the sketches I chose to show today are from Michael’s study abroad sketchbook – circa 1981. 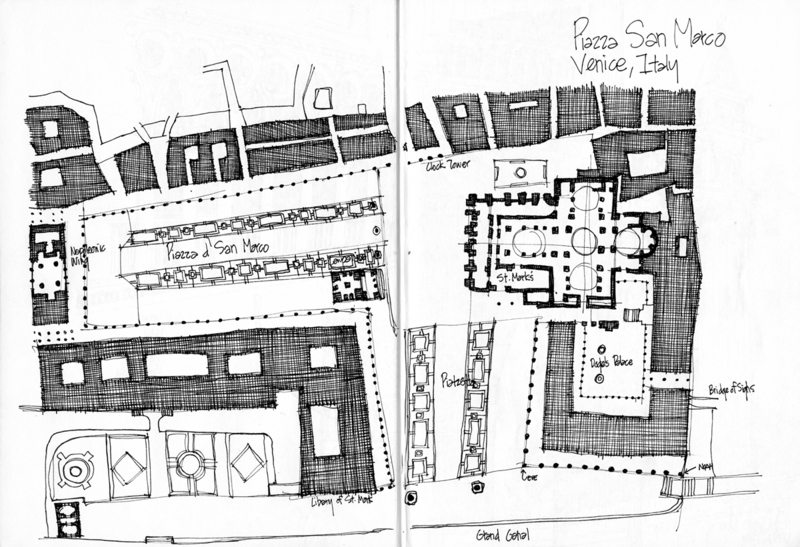 Most of the images are from a 4 day window when he was in Venice – although I wanted to show some of these project study drawings he prepared because they demonstrate a complete thought and analysis made in-situ. They are a little different from the sketches that follow. 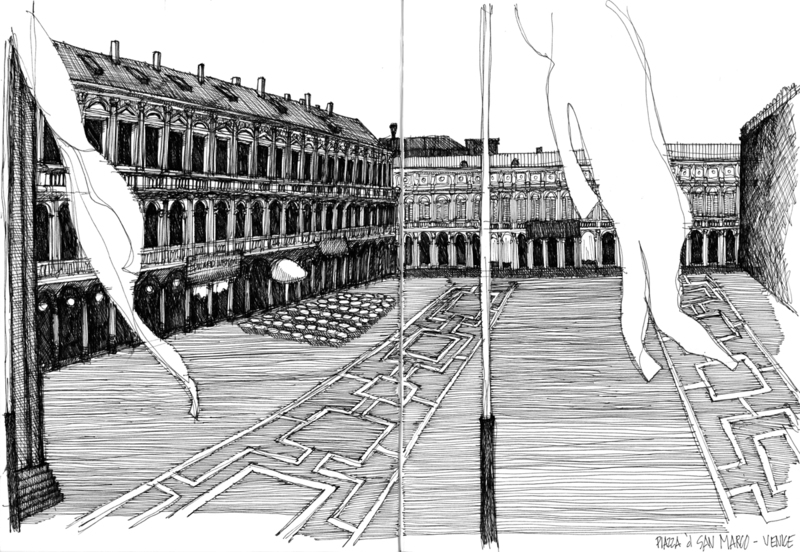 That and who doesn’t love a little Palladio? Are you reading the notes that accompany the sketches? It’s worth your time. I couldn’t resist including this picture because it actually accompanies the Villa Capra sketches up above. That’s young Michael on the far left and he is actually standing in the grassy field that front Villa Capra and he was actually sketching the sketches you see above. I’m not going to provide any running commentary for the rest go these sketches – they speak for themselves. All of these sketches are really, really amazing and the reason I wanted to share them is that if they were created digitally on an app, I highly doubt that they would ever see the light of day some 30 years later. 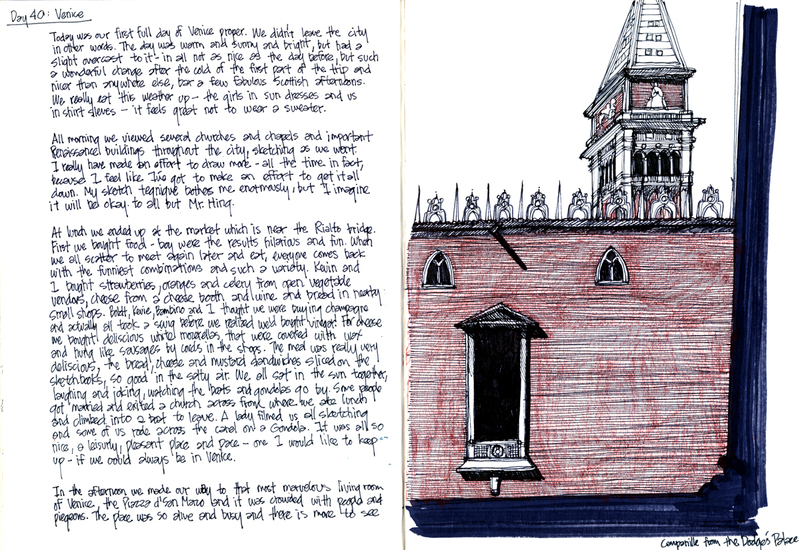 When I decided I wanted to talk about the value of sketchbooks as a diary – a record keeper – of the time spent in a particular place, all I had to do was walk into Michael’s office and choose which sketchbook I wanted to share. Let’s be honest, we all have digital files coming out our ears of various things … since starting this blog I have over 10,000 images that I’ve created for use and probably 10x that many that I decided not to use. Do I remember them all? Not even close but there is a diary aspect to the posts that I’ve written that have helped me catalog the passage of time over the last 5 years. 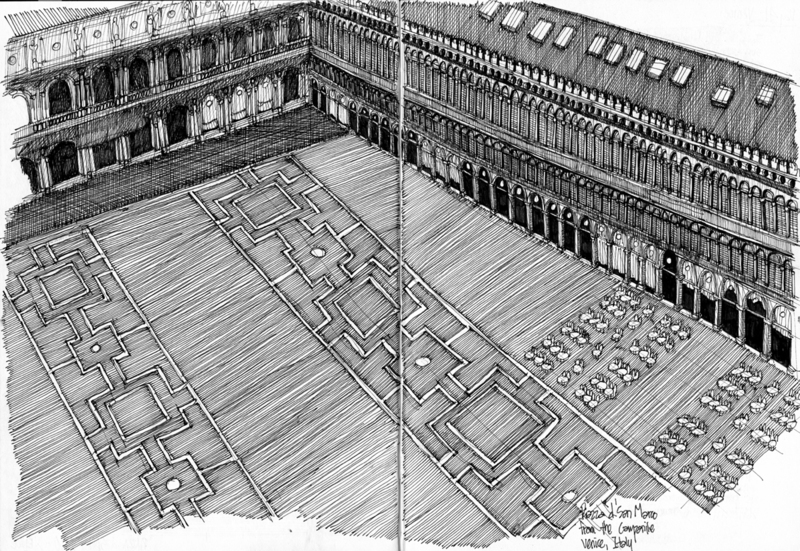 I think maintaining sketchbooks – as opposed to creating digital images – work in much the same manner. I’m not against digital sketch apps, I’m just acknowledging that I don’t use them and haven’t made the time to learn what I’m missing. I think the next step or me would be to start reviewing sketch apps and stylus pens – tools of the digital sketching trade – and find out what I’m missing out on. If you would like to help point me in the right direction, please, I’m all ears.